SkyCRM is best is class (CRM) solution that enhances the interaction between suppliers and customers, provides relevant customer information to the staff, and improves overall productivity of the CRM processes with cost effective solution. This software enables the management to predict the needs of future sales and resources with precision. With modular approach, the software provides separate and exclusive section for automated CRM operations. Enterprises can leave all CRM related issues to the SkyCRM and focus more on productivity and performance of other crucial business aspects. 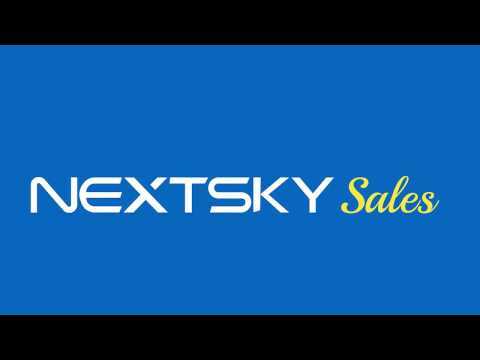 Nextsky is a premier custom software development and quality assurance company delivering complex world-class software solutions on a variety of technology platforms to clients and to dynamic startups. Nextsky endeavors to provide optimal workload breakdown and team composition at every project while taking into account not only the technological aspect, but the client's business as well. Manage Contacts Effectively and Close More Deals Get complete details about your customers. Take better decisions. Fully simple lead tracking designed to help you close more deals. Quickly creation of quotes, invoices and purchase Orders. The perfect solutions to manage your sales process and optimize pipeline generation. Stay steps ahead of the game with task and activity management tools. See existing calendar events and tasks synchronized across any system you use, from Google Calendar to Outlook. Manage deals visually and win more sales Get complete visibility of your deals across stages, move them up the sales ladder. Now that you have heaps of sales data, you have the ability to measure more than just revenue. Get a deeper understanding of your sales performance with the new metrics of sales.